Craft Izakaya has been reborn as Makimono, a casual sushi food stall serving up affordable fusion rolls full of flavor. After nearly a decade of writing professionally about food, I’ve come to realize that a restaurant is only as good as a guest’s expectations, which is to say that enjoyment is largely dependent upon mindset. For example: You don’t go to Staplehouse and order one entrée and “get it.” Chef Smith’s menu wasn’t designed to be enjoyed that way. 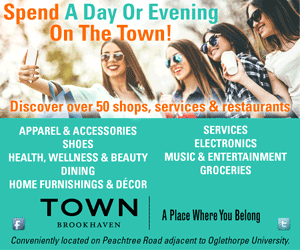 Instead, you go with a date or a group, share several small plates and a bottle of wine, and have the full experience. It’s the same logic that would steer a fine dining enthusiast to a spot like Bacchanalia, not The Varsity, to celebrate a major milestone. The Island Roll, filled with shrimp tempura, crab salad, salmon and avocado, and topped with eel sauce, spicy mayo, fish roe, sesame seeds and scallions. Dining at Makimono is no different. The former Craft Izakaya at Krog Street Market has the same chef and owner, Jey Oh, but a completely new approach. So if you’re looking for Atlanta’s next haute sushi restaurant, you’ve come to the wrong place. But if you’re looking for a great casual spot to get your sushi fix in a hurry, you’ll love it. It’s quick, it’s easy (on your schedule and your wallet), it’s fun, and it gets the job done. While Craft Izakaya was a full-service, sit down Japanese restaurant serving up chef driven sushi and inventive small plates, the reinvented Makimono is a fast-casual, counter service food stall offering a visual menu of eight fusion sushi rolls and a handful of rice bowls (think pork cutlet, Japanese-style beef, shrimp tempura, chicken teriyaki and kimchi pork). Perhaps the best feature is the design your own roll option. 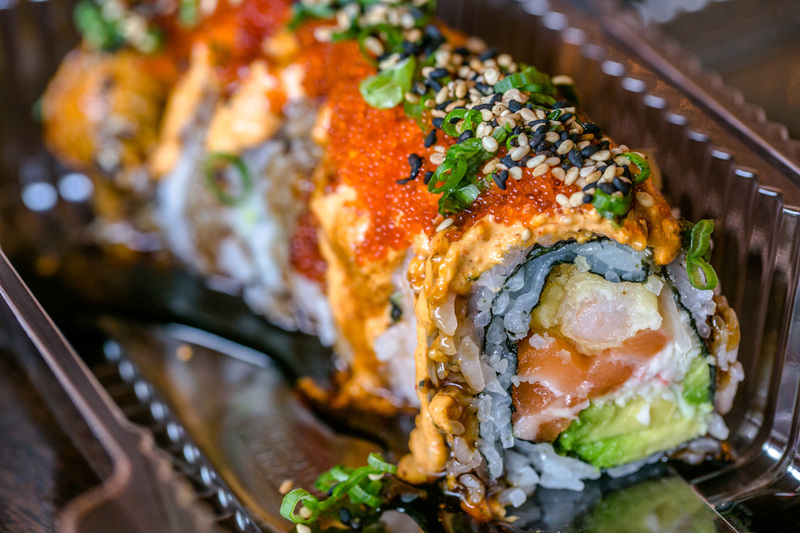 Pick two proteins, three vegetables and unlimited sauces and toppings, and you can create your own custom roll for the same price, which is already affordable when it comes to sushi. Each 10-piece roll, easily double the size of most restaurants’ rolls, is $11.95, cheaper than some of the sushi you can get at Kroger. 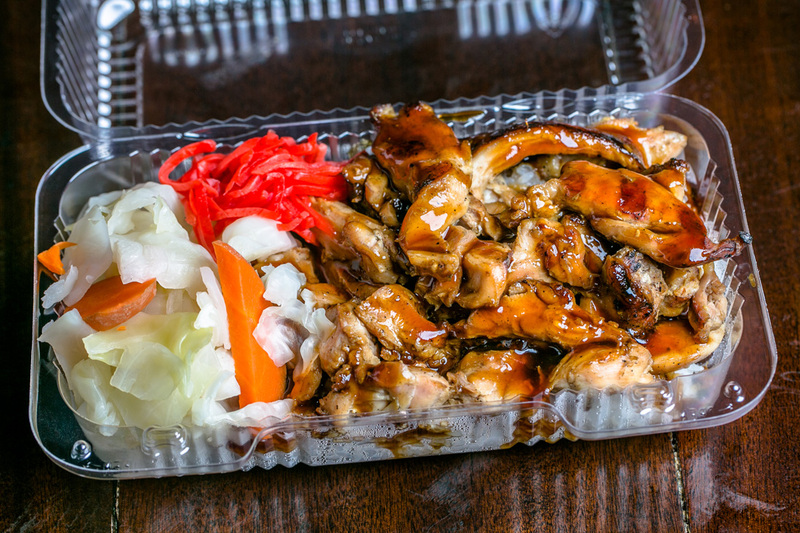 Makimono’s menu includes a handful of rice bowls, including chicken teriyaki. Chef Oh is able to offer sushi at these low prices thanks to a revolutionary technique being used in Atlanta for the first time. 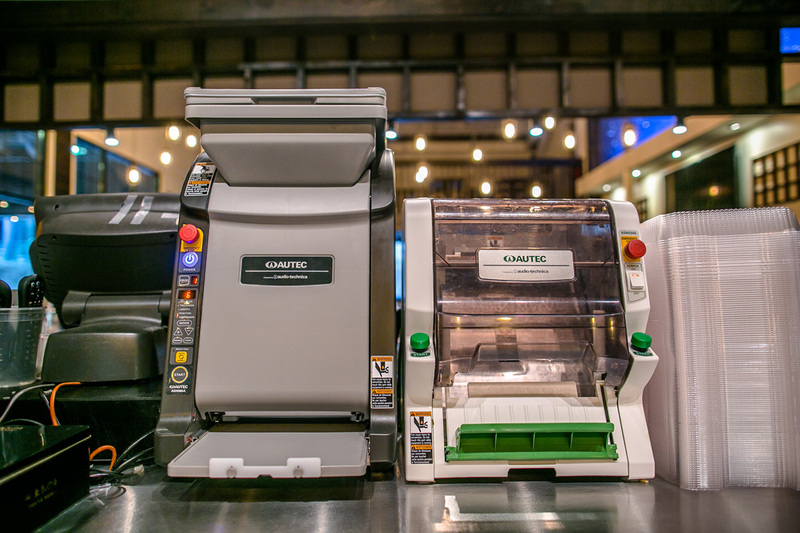 By relying on two sushi-rolling machines (one lays out the rice, the second cuts the rolls), Oh has cut down on labor costs and increased efficiency and consistency without sacrificing quality. As for the machines’ reliability, it depends. They struggle at times to keep the end pieces together, and while I’m hesitant to complain about the size (the portions are an incredible value), I found some of the rolls nearly impossible to eat without making a mess (how did I get sauce in my hair?). In terms of the sushi itself, if you love shrimp tempura rolls, California rolls and other Americanized-fusion crowd-pleasers laden with crispy fried bits and slathered in sauce, you will love Makimono. Five of the eight pre-designed rolls contain crab salad, three contain shrimp tempura and others are filled with Westernized ingredients, such as cream cheese and parmesan sauce, that might make some purists cringe. But what they lack in traditionalism, they make up for in flavor. And even though I usually lean more toward old school sushi—fresh sashimi and nigiri—I have to admit, I quite enjoyed the Island Roll, filled with shrimp tempura, crab salad, salmon and avocado, and topped with eel sauce, spicy mayo, fish roe, sesame seeds and scallions. It was an explosion of flavors and textures, and I’d order it again. I’d also order the Veggie Roll again, as the crunch from the pickled daikon, carrot, cucumber and crispy tofu skin perfectly complemented the creamy avocado and sweet eel sauce. It’s the only option for those avoiding seafood, unless you go the design-your-own-roll route. The Lambada Roll (spicy tuna, salmon, avocado, eel sauce, spicy mayo and fish roe) was pretty good, too—light on time-honored traditions, but heavy on fun and flavor. And that’s the thing. Makimono isn’t trying to be anything other than a fun food stall, a cheap yet filling and delicious meal. Accept that and you’ll love Makimono, especially when you consider the city’s other famed sushi restaurants, like Sushi House Hayakawa and Umi, charge upwards of $100 a head and have a wait list spanning nearly a month. 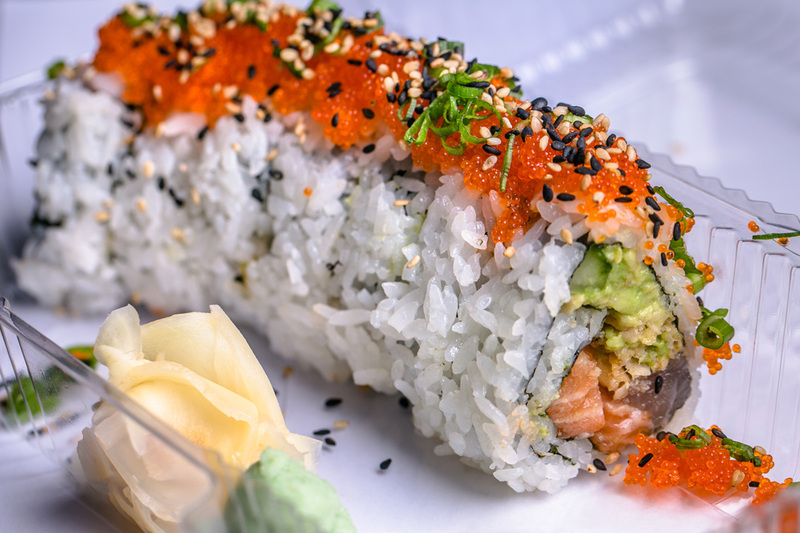 The Lambada roll (spicy tuna, salmon, avocado, eel sauce, spicy mayo and fish roe) may be light on time-honored traditions, but it’s heavy on fun and flavor. Or, you can always design your own roll and create something simpler. But what’s the fun in that when you have options like spicy salmon with avocado, seaweed salad, Japanese wasabi mayo, flying fish roe and fiery jalapeños? Even a purist like me enjoyed playing chef at Makimono. Also worth noting—and trying—is Makimono’s bar offerings. There’s now a bar serving beer, wine and Asian-inspired cocktails in a communal dining area open to the entire market. A 75-inch TV shows sports on the weekends. If that’s not sushi for the masses, I don’t know what is. Bottom Line: Makimono is affordable, fun and full of flavor.